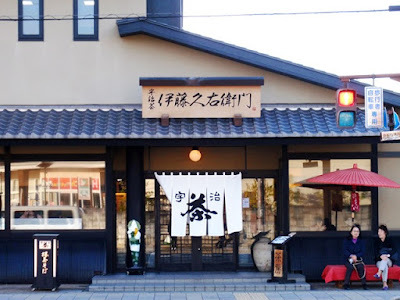 The Ito family first began producing tea in Ujitawara in 1832. In 1952 the 5th generation head of the family, Ito Kyuzo, moved to Uji and set up the business that became Itohkyuemon (伊藤久右衛門). 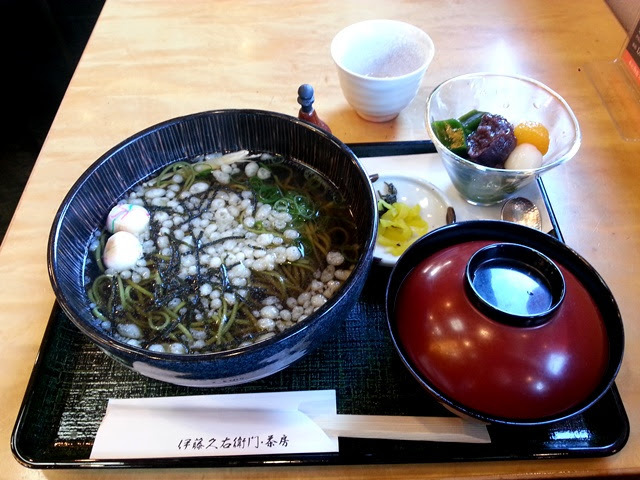 Itohkyuemon Honten (Main Branch) is located a short distance from Keihan Uji Station. Smaller branches are located in Kyoto near Kyoto Station and in Uji along Byodoin Omotesando. Itohkyuemon Honten houses a retail space and the only cafe among the tea company's branches. To dine at the cafe, sign in with your name and size of your party, then wait to be called. The wait time can be rather long during peak hours, so plan accordingly. This is a great time to shop! 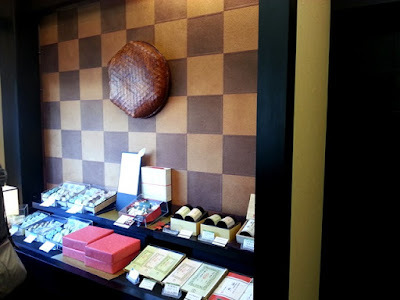 I was fortunate to encounter a short wait when I arrived with just enough time to visit the retail area. Here, I found a tea bar for tea tastings and a broad range of tea and related products on display. If you live outside Japan, bring your passport to receive Duty Free tax exemption. A recent addition to Itohkyuemon's tea product lines is Yowa no Midori (Midnight Midori) matcha-infused alcohol. 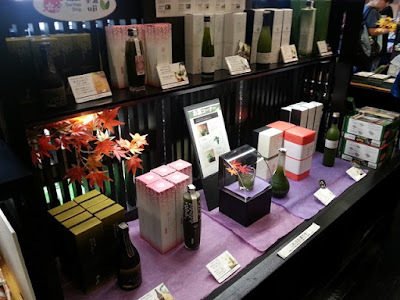 Products include sake, umeshu, Tamba wine, shochu, and chocolate liqueur. 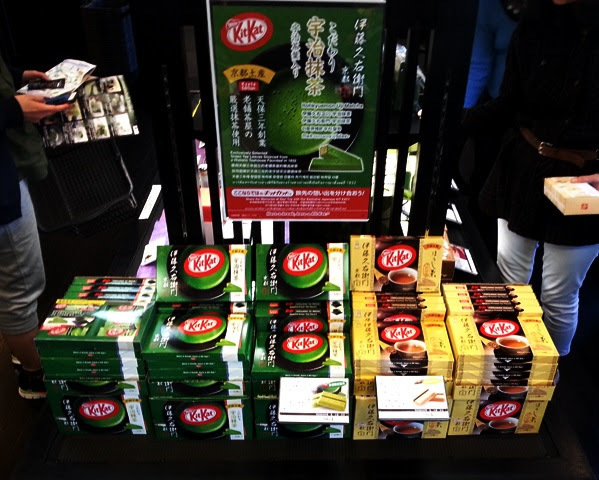 At the time of my visit, Kit-Kat had released two regional flavors in cooperation with Itohkyuemon: Hojicha and Uji Matcha. 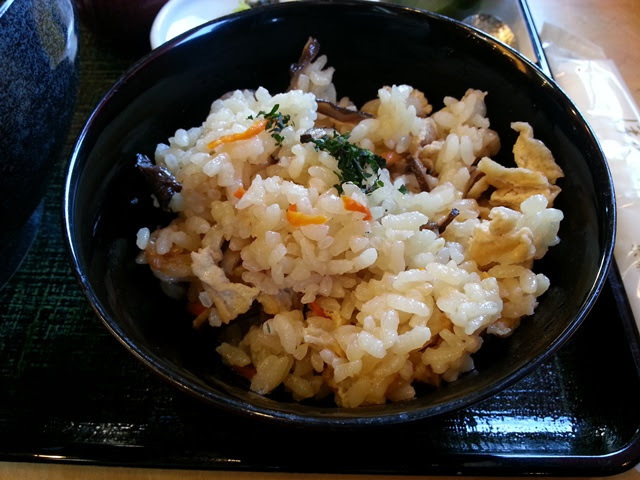 After making my purchases, I returned to the cafe just in time for a table to become available. 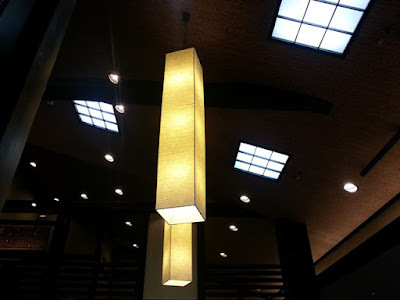 The dining area seats 64 with a high ceiling and an interesting tiered architectural design. 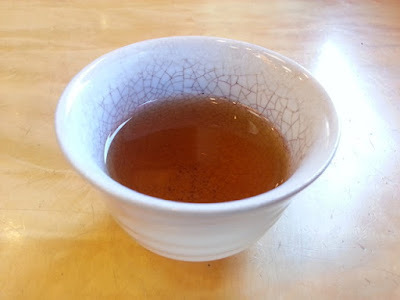 Hojicha tea was provided as soon as I was seated. The cafe menu includes meals, tea sets, and desserts and for lunch I chose the delicious Genji no Kaori (Fragrance of Genji) set which included Takikomi gohan (steamed rice cooked with vegetables), matcha soba noodles, and anmitsu (dessert with jelly, red bean paste, and fruit).